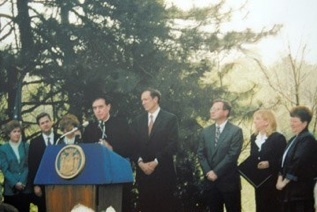 The Town of Amherst took over ownership of the State Park in 2001. Amherst State Park was originally was a convent and the surrounding property of the Franciscan Sisters. The picture at the right shows the mother house, the slope area and part of the orchard. contributing site features include the circular drive surrounding the Mother House and a set of radial walkways leading to various contemplative and work spaces, including the arbor, the gazebo, the stone grotto, and the stone steps leading to the orchard. 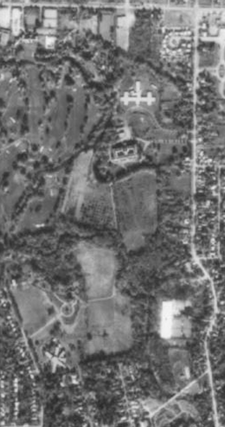 While some components of the original 100-acre complex such as the chapel, the barns, and the cemetery have been compromised by new construction and are not included within the boundaries of the nomination (nor the park), the roughly 30-acre nominated area retains the principal structures and the feeling and character of the complex as it developed during the period of significance, 1928-1956. 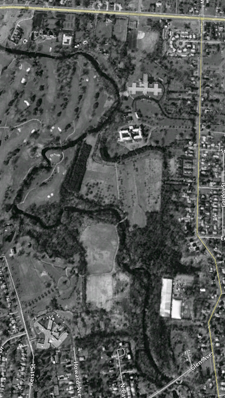 The figure at the right identifies the boundary of the area listed on the National Register of Historic Places. 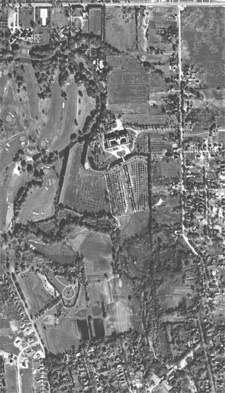 Below are four aerial pictures of what is now Amherst State Park. The entrance to the Franciscan Sister mother house is about one third down the right side of the pictures. The orchard is in the middle each picture. 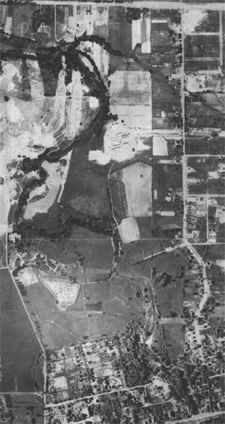 The Reist Mill complex is about two thirds down the left side of the pictures. 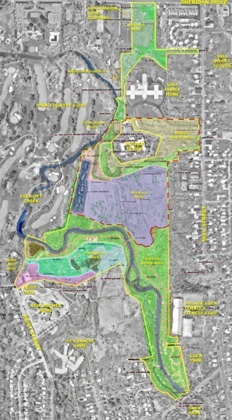 At the bottom right corner is Ellicott Creek flowing through Glen Park, under Glen Avenue and then into Amherst State Park. Town of Amherst and State of New York officials gather with the sisters to transfer the Mill Street property to become Amherst State Park, a lasting green space in the Town of Amherst.